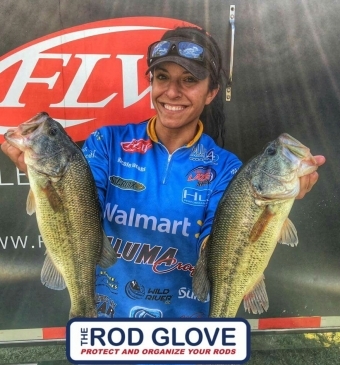 Having just joined our Pro Staff team at the Rod Glove, Nicole has her feet firmly planted in faith and fishing and she is an excellent role model for all female anglers. Nicole is relatively new to the sport of competitive fishing, having just competed in her first tournament in 2013. She has been fishing the waters of Minnesota and fishing the FLW Tour as a co-angler since 2014. She loves the thrill that goes with competitive angling and has made fishing her career and lifestyle. Nicole believes in empowering people to follow their passions through faith and fishing. Nicole first got into fishing after having suffered several tragedies in 2012. Having lost her Father to cancer, a debilitating car accident and her job, she turned to fishing to lift her spirits. Her Father was the one that introduced her to fishing and she enjoyed the father-daughter bond that they had while on the water. Her Father not only taught her how to fish but during their time on the water but he set the foundations that she lives her life by, One God and family come first. She spent plenty of time on the water with her Father while she was growing up and it still brings back many great memories for her. Nicole’s skills aren’t just on the water. She prides herself in being a brand ambassador and charity advocate. She understands marketing and business development and the importance of social media. Besides Nicole’s natural athletic drive, her outgoing and contagious personality make her a strong asset in the industry. She says that is her passion to reach people by making a difference in their lives through fishing and the outdoors. She reaches people through her charity work and spends time for everyone after her tournaments including our future angler's. As a single Mother, Nicole has had to make some big sacrifices to become a full time angler but she says that in the end, it is exactly where she wants to be. Nicole's Father taught her to be a fierce competitor and to never give up. He always pushed her to do her best and to be gracious in every victory and to be humble with defeat. He also taught her that she needs to love and to give mercifully. Due to the impact fishing has made on her life, she feels a responsibility to share that feeling with as many others as possible. She strives to be a role model and lead by example encouraging others that they can overcome adversity and live a life you love. 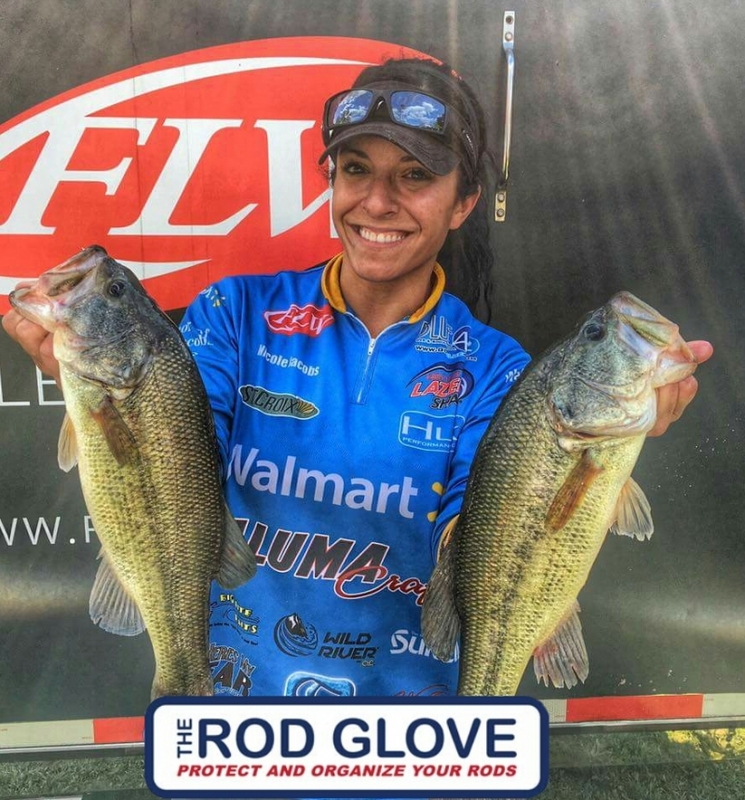 Nicole has been competing across the US in the FLW Walmart Tor and her next event takes place at Lake Chickamauga on June 11-15.